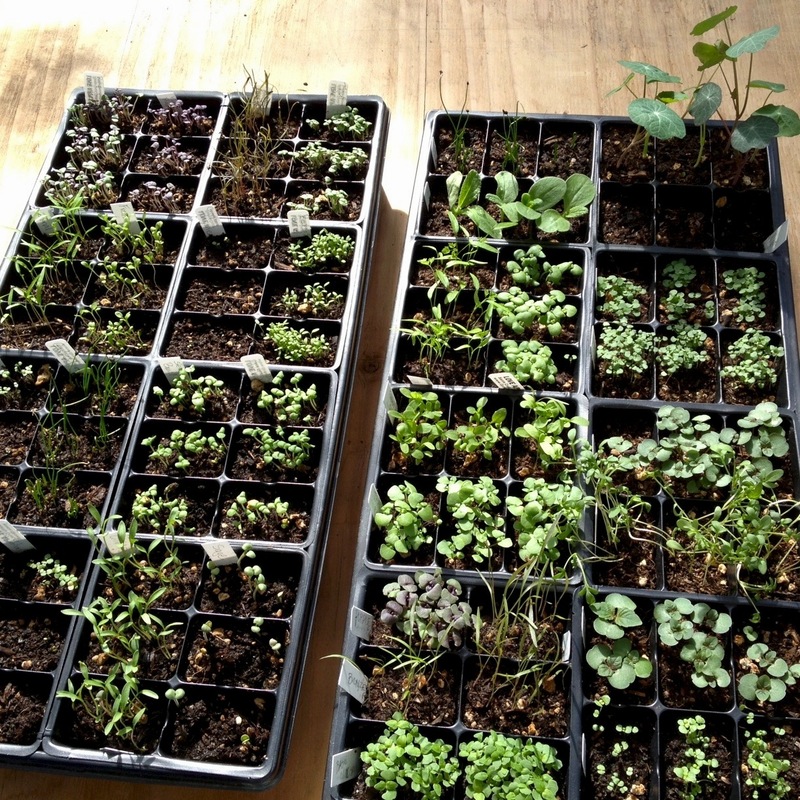 Below is a photo of some Lafayette Community Garden herbs when they were just small. Now they are all grown up and ready for new homes. You can find them starting this Sunday at the Lafayette Farmers’ Market.